As the field of environmental studies has expanded, so has our understanding of the complexity of environmental issues. Many different concerns, including those of the public, private industry, and the scientific community must be balanced to approach the environmental concerns facing our society today. In training students to handle the challenges posed by a career in the environmental field, experts have found that an interdisciplinary course of study offers the most comprehensive preparation. An interdisciplinary program provides students with a basic understanding of all the factors affecting their work by giving them a scholastic background in the primary disciplines involved in the environmental field. This understanding compliments students' areas of specialty, supporting their focus in one discipline with knowledge about other aspects of the field. Our Master of Science in Environmental Studies (MES) program prepares students to deal with the complex nature of environmental issues through an interdisciplinary approach that capitalizes on the unique faculty and research strengths of the College of Charleston. 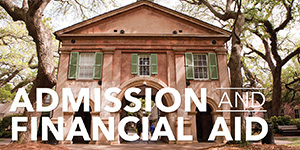 The faculty at the College of Charleston contributes through the policy sciences and the natural science areas of biology, geology, mathematics, and physics. 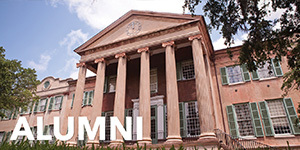 The mission of the College of Charleston Master of Science in Environmental Studies (MES) Program is to provide environmental students with interdisciplinary, integrative science and policy training. Through a comprehensive, balanced, and inclusive curriculum, this program strives to prepare students to solve the increasingly complex environmental problems facing society. The MES program focuses on human impacts to the environment and provides quality research and management training through a thesis or internship option. The MES program is committed to embracing a variety of academic and practitioner backgrounds to support and further each student's educational development. 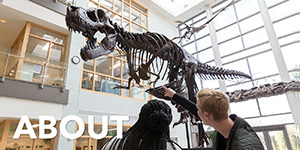 The MES program curriculum consists of several core courses which give students a background in both environmental policy and environmental science. 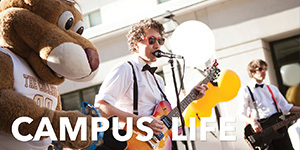 Specializations within the MES program allow students to focus their interests within those areas through elective coursework and an internship or thesis option. The policy curriculum examines the development and implementation of public policy responses to environmental issues, focusing special attention on the economic, political, and social factors that are an intrinsic part of the policy-making process. 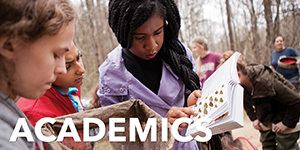 This curriculum further provides students with a background in policy areas relevant to environmental issues, such as land use, economic development, and management and regulation of biohazards, as well as acquainting them with the analytical and management tools useful in evaluating environmental policy. The science curriculum provides academic training in specific scientific disciplines for those planning careers in environmental science. This curriculum emphasizes traditional scientific laboratory and field research and requires students to demonstrate graduate level competency in one of the natural science fields of Biology, Geology, or Physics. While the science curriculum will examine the scientific foundation of environmental issues, the core courses will help students to relate this information to societal risk assessment and public policy-making. 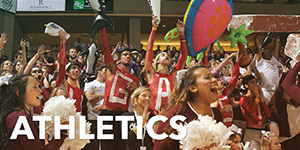 A student's Program of Study consists of a list of coursework and other requirements that the student must complete to graduate from the MES program. Upon entering the program, each student will be advised by the Director and Program Coordinator. Later, the student selects an Academic Advisor who helps the student develop a Program of Study and then a Thesis or Internship Advisory Committee. These advisors oversee student progress, and advise the student about his or her career and academic options.